Don’t you love it when your closet is in order and things are arranged by color and type? Things are so much easier to find, and it’s not such a chore to plan your clothes for the next day. (One of my pet peeves is when the shoulders of my clothes get misshapen from those plastic or metal hangers.) 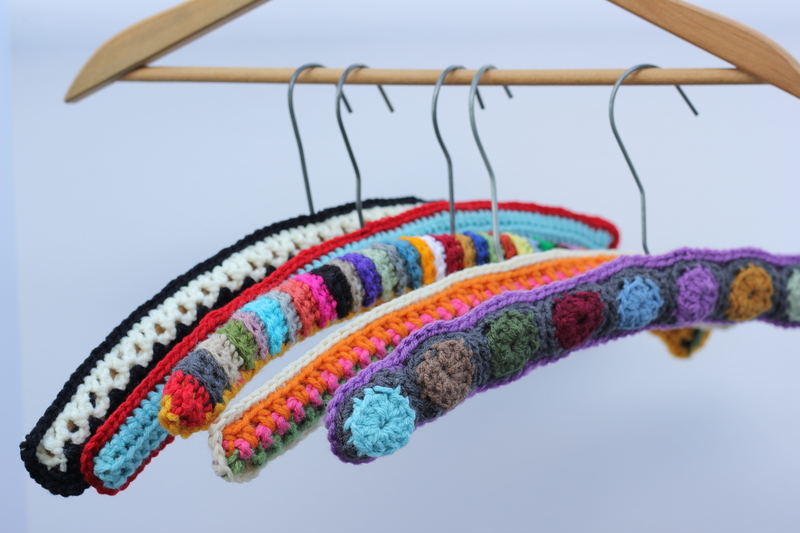 That’s why I love my crocheted hangers! I got my first hangers as a little girl. They were a gift from my great Aunt Helen. I used to save them only for special items in my closet, but now I use them for everything. In fact, I still have the ones she made me, and I’ve added to my collection over the years. 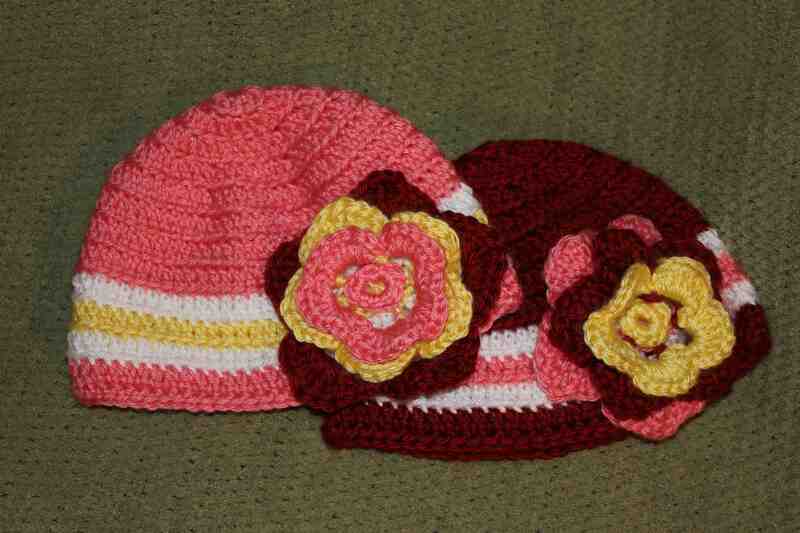 Recently, I made a whole set for a special young lady I know. I am helping her celebrate her senior year by sending one gift a month. This month, she received some hangers with which to hang all of the pretty outfits she will need: Homecoming, Prom, Winter Formal, Senior Banquet…. the list goes on. I told Mom to get out the credit card! At least she’ll have something nice to organize all of these lovelies in her closet! 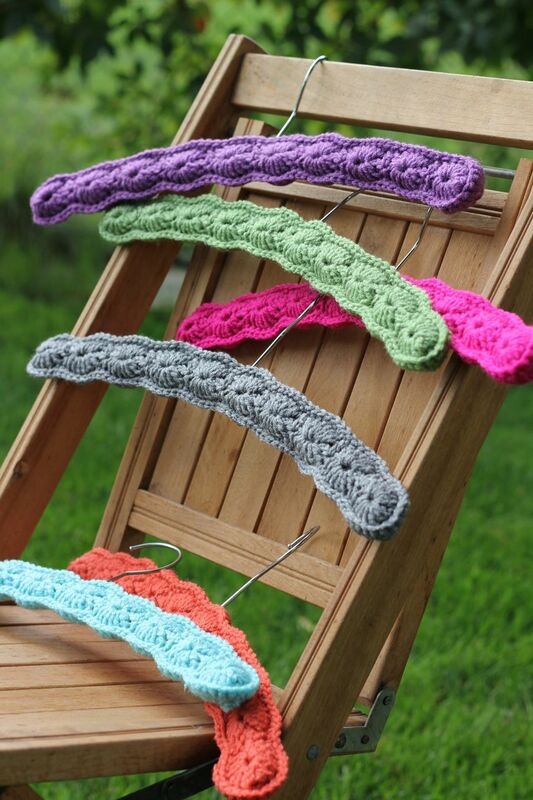 You can order the wooden hangers online, and I got this simple, classic pattern here. 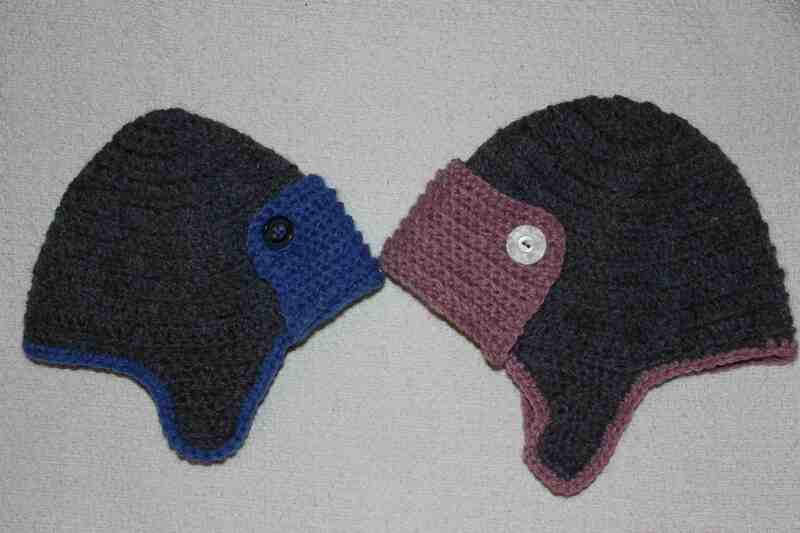 They whip up so quickly and will protect your clothes and display them in style! Happy Fall and Happy Stitching! I’m still feeling the February love. It’s such a short month, and I haven’t lost my mood for red, pink, roses and of course, chocolate. 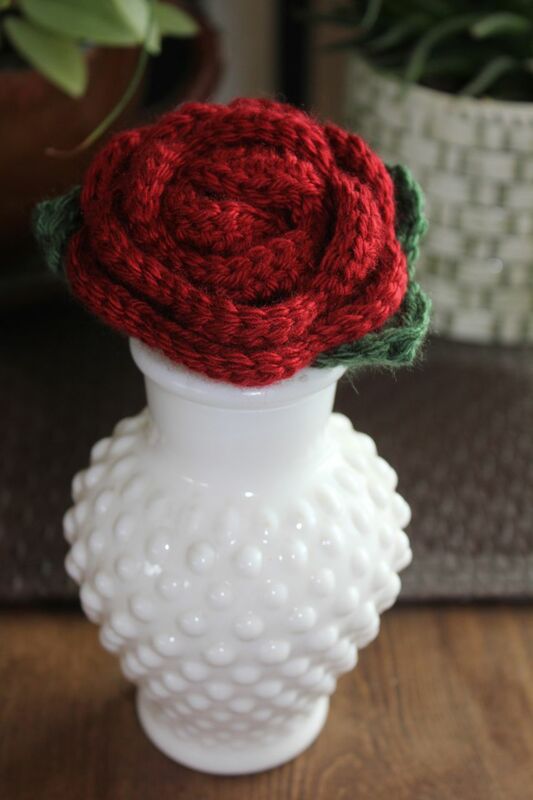 There are so many lovely crochet patterns floating around online for flowers, that I decided to try a rose in honor of February. I love the way it came together, and I think I’ll try some more. Hey, there are still a few days left in the love-month! 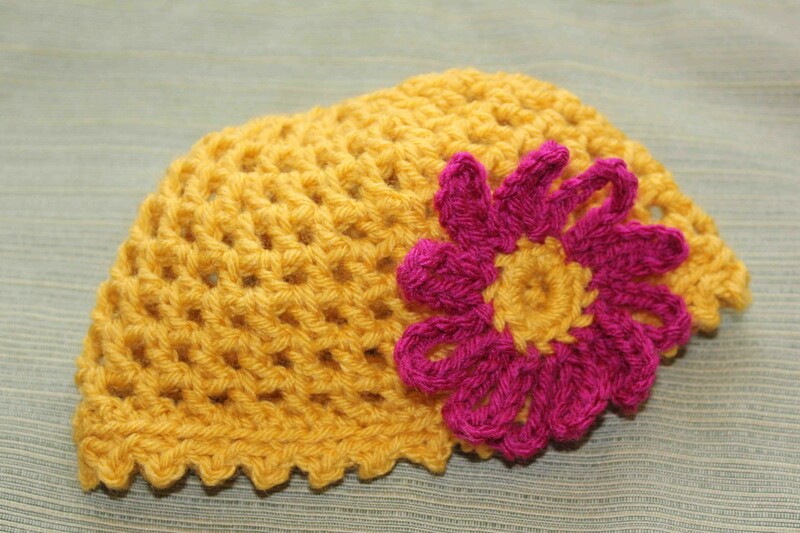 Many thanks to Hille Knits for sharing the free rose pattern. 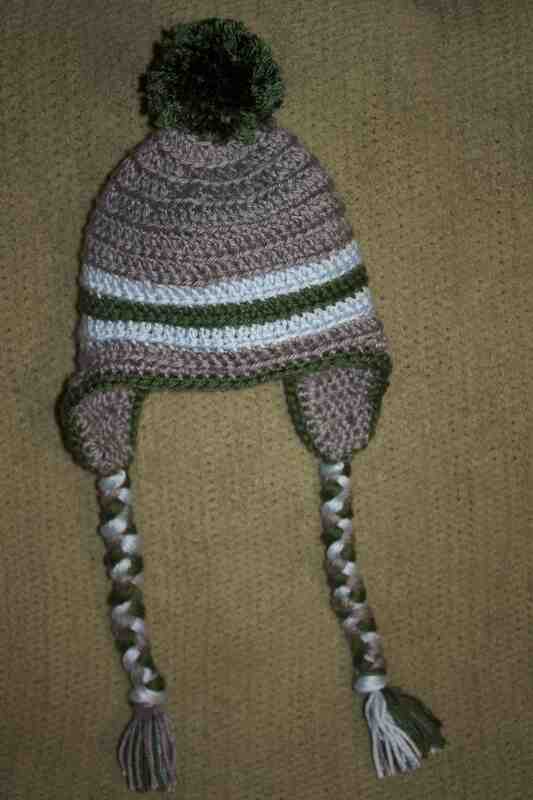 ( I altered the leaves somewhat from the pattern so that it only had three leaves instead of four.) So much less expensive than the florist, right? 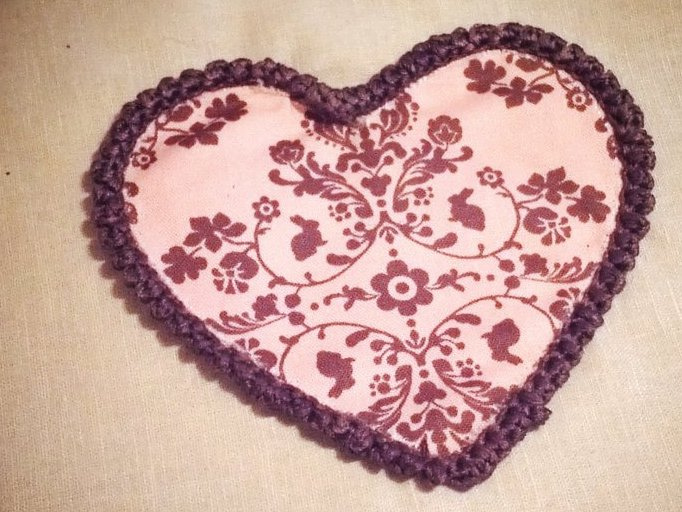 Happy February, and happy stitching! 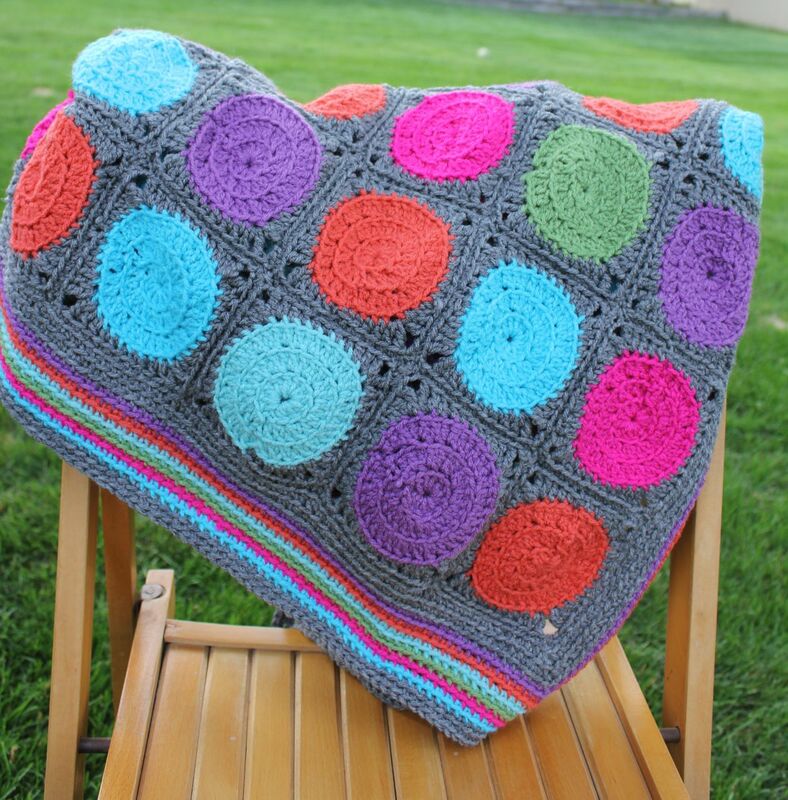 I thought I would share my latest project…. a 40th birthday gift for a friend who loves bold jewelry and bright, cheerful colors. I loved the combination of red, black, purple and green with a few gold accents. 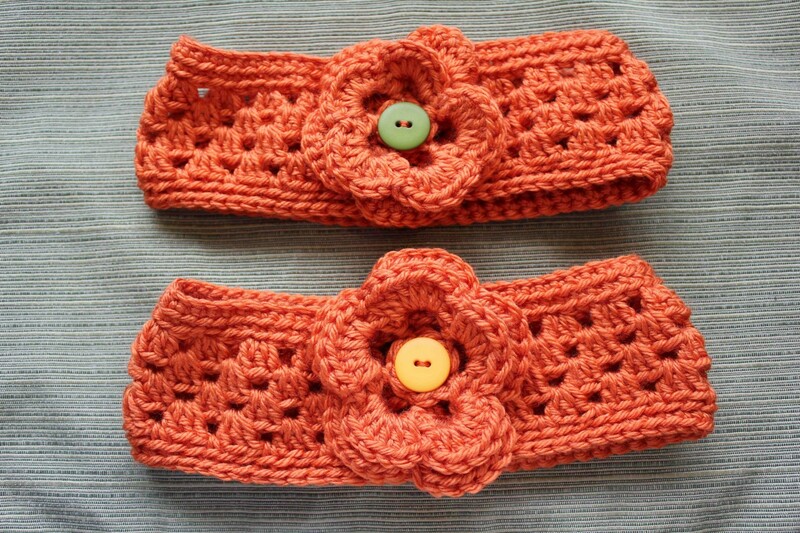 This was such a quick, easy crochet project using a heavy-duty thread purchased at my local bead shop. It reminds me of a pricey necklace in the recent J.Jill catalog, and it makes me happy to have made it for less, but also to be able to say, “Here’s something I made for you!” That’s the best part. 1. String all of your beads onto the thread. It takes a lot of beads, so just keep stringing until you have about three feet of continuous beads! 2. Tie a knot in the end. Start with a little bit larger bead and move it to the end. Move the rest of the beads over and start a loop right next to your first bead with your very, very tiny crochet-hook (I used 1.75mm). 4. 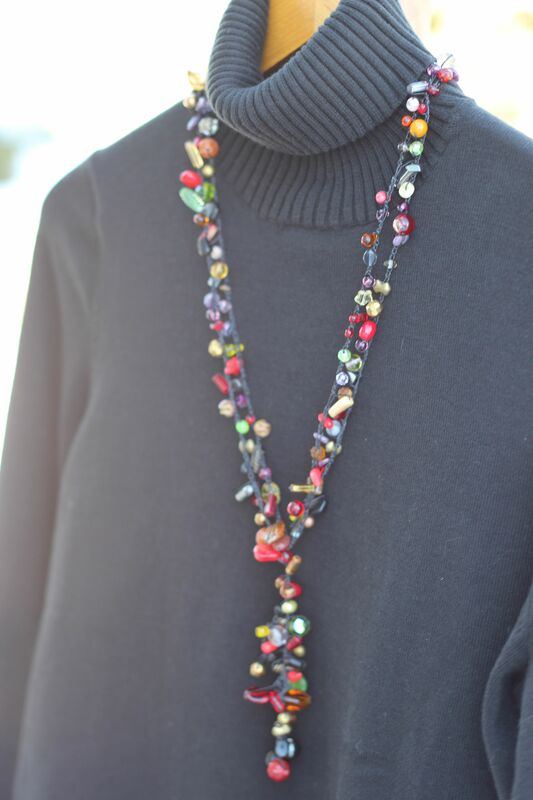 The necklace is meant to be wrapped around the neck like a scarf, so no need to connect the two ends. My creative side has been having fun with all of the little girls in my world. Here are some pretties I have been stitching up for sweethearts like Greta, Allison, Sydne and a little baby-to-be that we haven’t met yet! 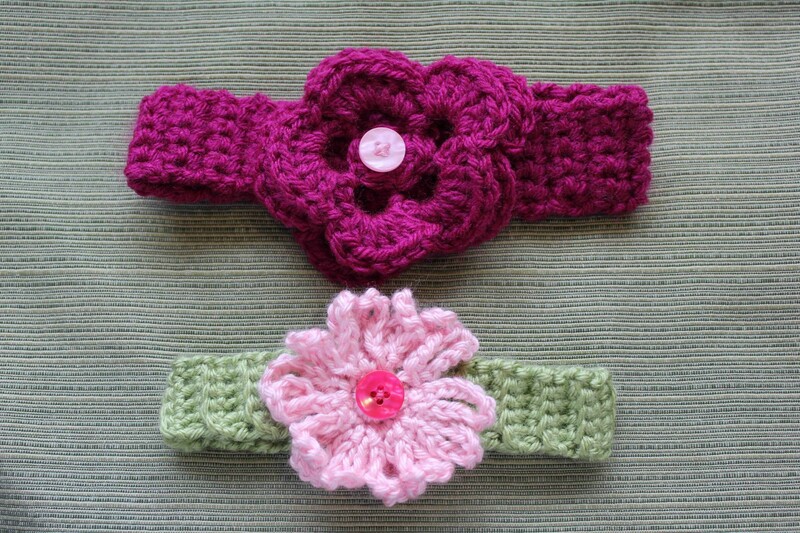 Here’s to spring and to all the sweet little girls out there! Note: I combined the following patterns, and made them my own. Thanks to the following bloggers for their inspiration! Welcome to the “Art of Reading.” I’m so glad you could stop by to see a talented artist and hear about her love of reading and the books she adores. I’ve said it before, but artistic, creative women are very often avid readers! 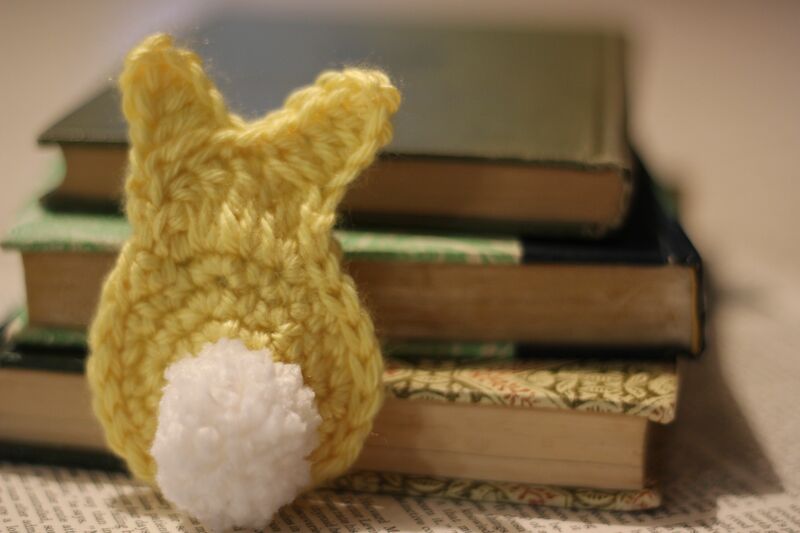 Hopefully, you will be able to add a few books to your “List of Books to Read,” as well as visit her beautiful blog and see some inspiring designs! What creativity do you share with the world? I am passionate about art and creating. 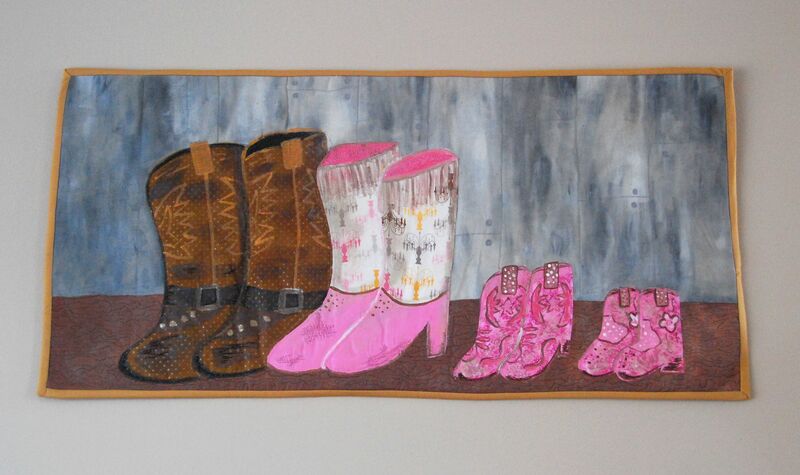 In the quiet wee hours of the night, when my precious daughters and husband are sleeping, I design quilt and crochet patterns as well as create mixed media art. 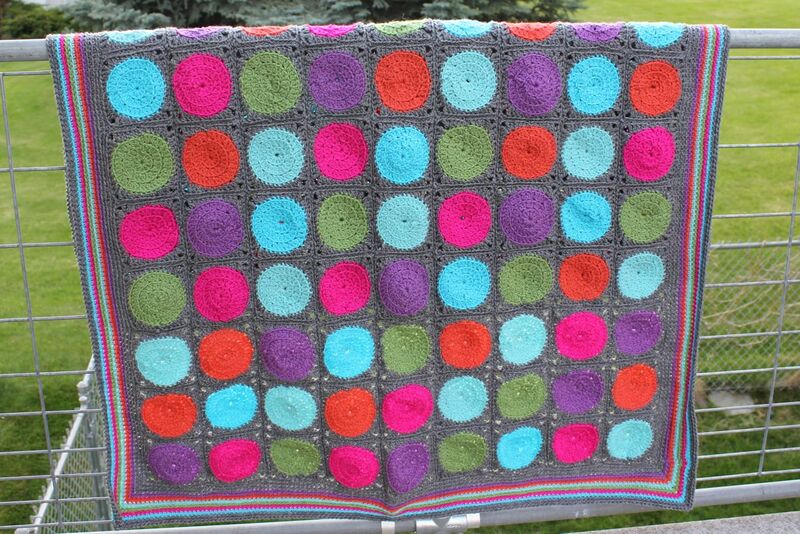 I love playing with color in just about every media form: fabric, paint, fiber, and more. It is my dream to inspire people to take the time to create. Art and creating have an amazing way to free our spirits as well as brighten our worlds. How do you acquire the books you read? As a librarian, it is important to me to support my local library. A majority of the books I read come from my local library. In addition, I’ve recently joined an online site, paperbackswap.com, and love it! 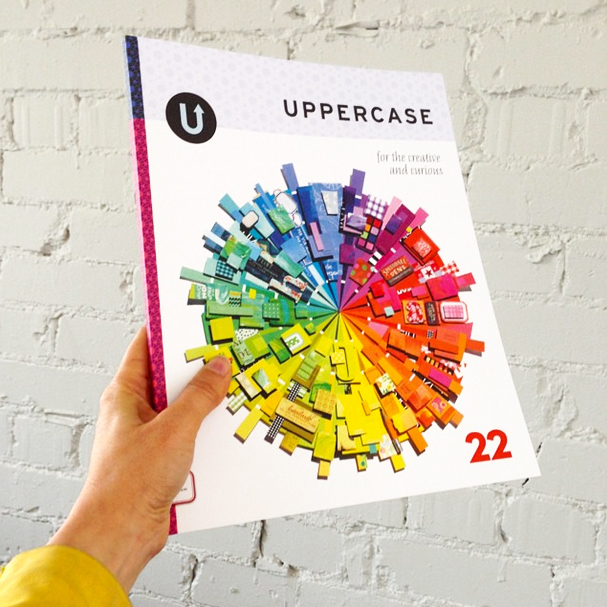 It is an amazing way to swap books with other readers across the nation. Do you have a childhood favorite? 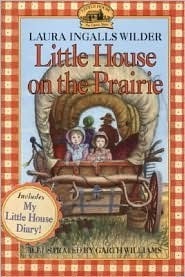 My childhood favorite books were the Little House on the Prairie series by Laura Ingalls Wilder. I remember my father reading them to us at bedtime. I didn’t always listen attentively, and my mother and I tended to tease my father while he read, but it sparked my interest in books and history. 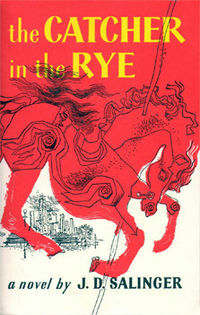 I actually DO have a favorite book! 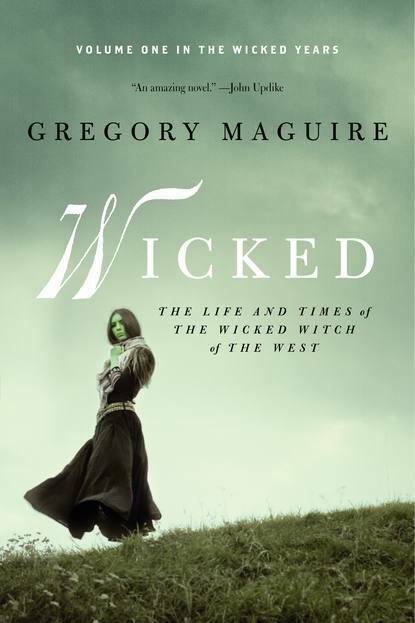 My all time favorite book is Wicked by Gregory Maguire. I’ve had an obsession with the Wicked Witch of the West since I was a toddler. I am fascinated by the general perception that beauty equals good and unusual equals evil. I simply love that Mr. Maguire has changed the way we see Elphaba. I don’t think I could read this book too many times. And yes, I adore the musical as well. A book that changed my life is… The book that has played the most significance in my life so far is The E-Myth Revisited by Michael Gerber. I recommend it to each and every person who is considering going into business for themselves. I’ll never forget reading it in an airport and spontaneously crying. 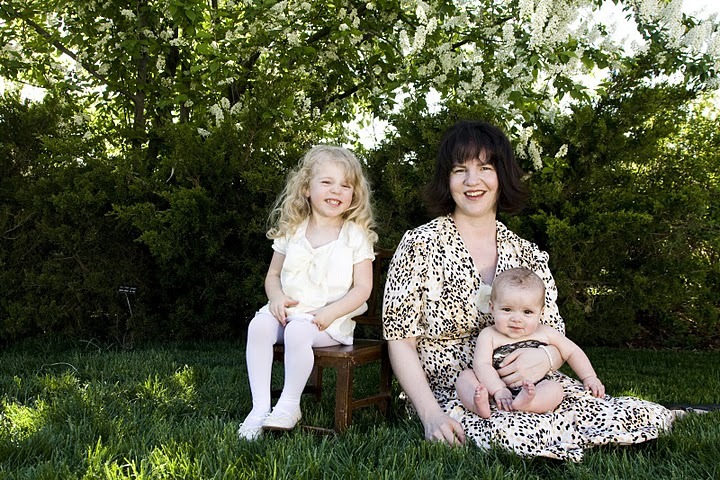 It is extremely hard to start your own business, and this book pinpoints every reason why. I can not recommend this book highly enough. If I could sit down for dinner with a fictional character it would be…. 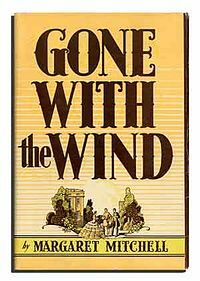 I would love to have a martini with Scarlett from Gone With The Wind by Margaret Mitchell. I have to know what happened after the story ended! I am not a huge fan of the modern sequel and didn’t think it ran true to her character. She has always been one of my favorite heroines; she was resilient, independent, and didn’t give a hoot about what anyone thought of her. The last book that made me cry…. 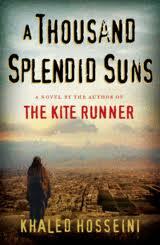 I bawled for most of A Thousand Splendid Suns by Kahled Hosseini. As a mother, this book touched and broke my heart so many times. It is extremely well written and I highly recommend it. 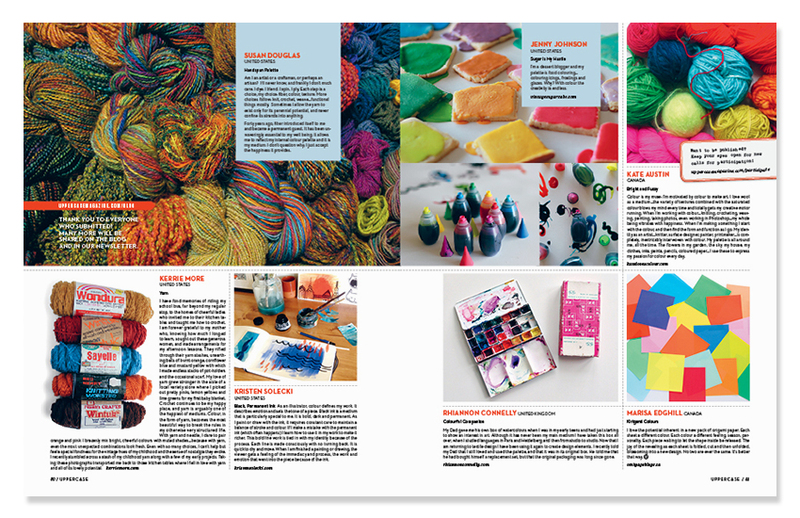 Just get the Kleenex ready..
One of my favorite art/craft/how-to books is…. 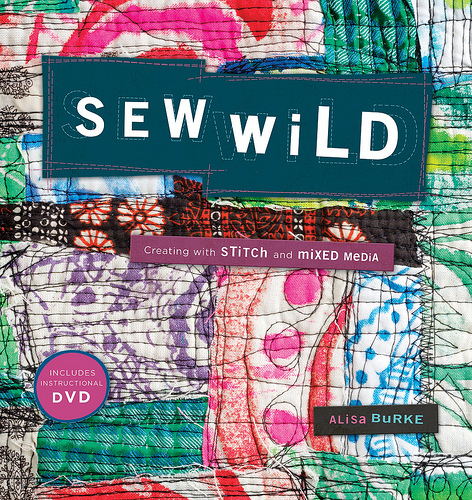 Sew Wild by Alisa Burke because I love the idea of using your sewing machine as an art tool. 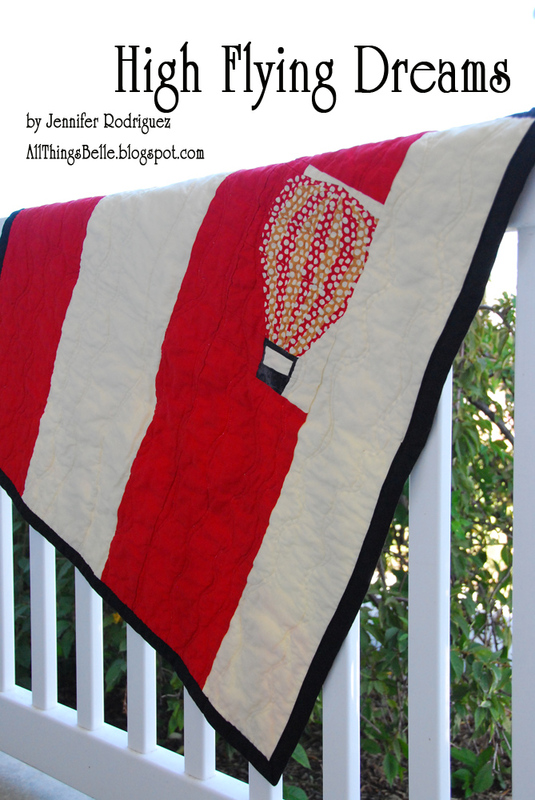 As an art quilter, I see my sewing machine as more of a creative companion rather than a utilitarian tool. Alisa gives amazing inspiration and techniques with free motion sewing.